This rescue was founded in honor of Sheree, my dear Maltepoo. 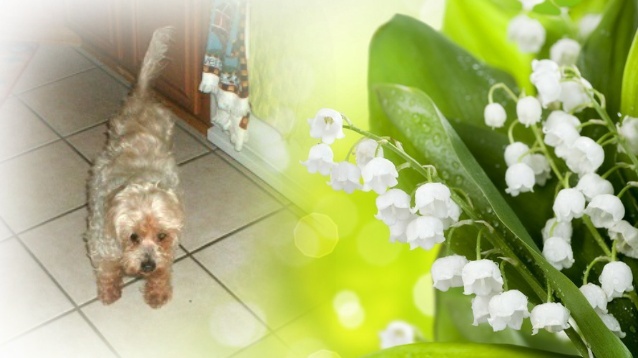 Sheree was a senior puppymill rescue Maltepoo we saw online. When we looked at her face, we knew she belonged with us. Before adopting her, we were told she had had mammary tumors, was blind and had congestive heart failure. She was also treated for heartworms at her age. It did not make a difference to us; we wanted to adopt her, which we did on October 31st, 2004. She was unique and she had a lot of personality. She quickly became my mini Schnoodle Silky's best friend. Many times, I saw Silky, now an angel, bring Sheree back to the house from the yard, by rubbing her nose to Sheree's and guide her. They would curl together in a dog bed and snooze. Sheree enjoyed following Silky around as she realized that Silky was her eyes. After a few months with us, her hard life and health issues left their mark. Sheree crossed the bridge on February 19, 2005. Although she was with us only a short 3 1/2 months, she had a lasting impact on our lives. We deeply loved her and still dearly miss her. In the game of life, I have already won.